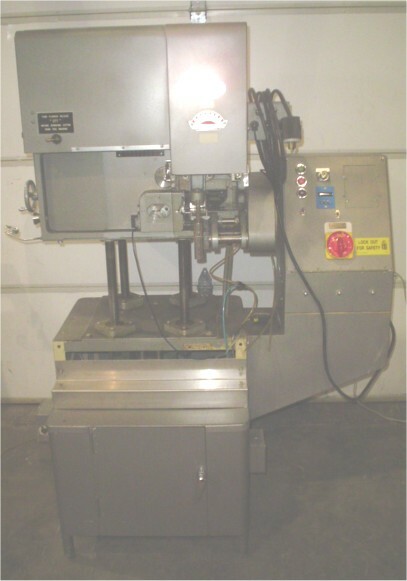 Used King Model CF-60(R) Automatic Cottoner. Serial #240. Machine has all Stainless Steel contact parts and is on an enclosed "Steel It" painted base. Unit is capable of up to 60 bottles per minute and can do different lengths of cotton/rayon. Equipped with manual height adjustment and safety guarding around cotton inserter. Was removed from production at a large pharmaceutical facility. Electrics: 3/60/208 volts. Note: Does not come with any conveyor.